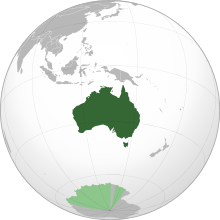 The Prime Minister of Australia called for an early election in the hope that he would be able to gain a larger majority in Parliament, permitting his reform agenda easier passage. After more than a week one of the closest elections in half of a century, has finally been decided. The conservative coalition led by Malcolm Turnbull will retain power, but it will be by a majority of just one vote. The stability of the new government is likely to be even more fractious than before. The Liberal-National coalition headed by Prime Minister Turnbull had a far larger representation in the House of Representatives before the election. Out of the 150 available seats, the conservatives controlled 90 seats. This number has now been reduced to 76. The Labor Party which had 55 seats in the lower chamber is likely to see their share increase to 69. Independents and smaller parties comprise the remaining 5 seats. Although it has already been reported, that two of the independent representatives have decided to back Turnbull. As a result, Bill Shorten the leader of Labor has reluctantly conceded. Since winning the last election in 2013, the conservative coalition has battled the opposition in passing a more pro-business agenda. 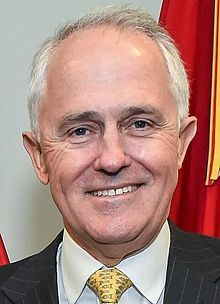 After a struggle with former Prime Minister Tony Abbot in September 2015, Turnbull was able to secure the position of leadership. Although the Prime Minister will still have control of the House, the strategy of calling an early election has been a total failure in the Senate. The objective of ridding the upper chamber of the smaller parties and independents has backfired. It is now likely that just 9 members with no main party allegiance, will control the balance of power there. This is because they will have the ability to block legislation. One can imagine that the opposition to the present government will now be magnified. This will be despite the announcement made by Mr. Shorten, that the closeness of the election is not a mandate for obstruction. The division of the electorate now mirrored in government, is mostly economic in nature. 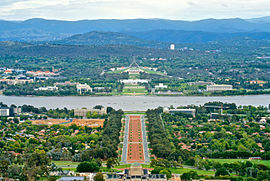 Voters are concerned over the direction and management of the Australian economy. Although the country remains one of the wealthiest nations in the Asian Pacific region,stimulus spending by the previous Labor government, generated a fiscal deficit that has been difficult to undo. As a result of these policies, government debt although still low in comparison to many other nations, has risen since the financial crisis of 2008 and 2009. The debt to GDP (Gross Domestic Product) ratio has increased from 11.7% from that time period, to 36.8% in 2015. Most other advanced nations have debt levels that are close to, or already exceeding annual GDP. Australia has avoided even a single recession in nearly 25 years. The country remains competitive in services, technologies, and high value added manufactured goods. However it was the export of agricultural and mining commodities, that allowed the country to escape the 2009 global recession. The near collapse in the price for international commodities has hit sectors of the Australian economy particularly hard. The decline in valuation for these products, was largely the result from lowered demand originating from China. As the Chinese economy slowed, there was a corresponding drop in other East Asian nations rates of growth. What followed was a subsequent plunge in the need for industrial commodities. The election has certainly not resolved the economic uncertainties and has actually increased the pressure on the government, to find solutions to a world economy that is growing increasingly volatile and is creating more headwinds for domestic growth. Upon winning re-election Prime Minister Turnbull has stressed once again, the need for Australia to shift away from an over reliance on mineral exports and towards a more diversified economy. The GDP is expanding at an annual rate of 3.1% and unemployment has dropped below 6%. The government is therefore claiming success at maneuvering the economy, during a difficult period of transition. The Prime Minister has promised a number of measures to maintain growth. These include moving the country towards fiscal balance and business tax cuts. The proposal is to phase in a reduction in the corporate tax rate from 30% to 25% over the next 10 years. The cost to the treasury would be equal to 50 billion Australian dollars, the equivalent of $37 billion USD (United States Dollar). Mr. Turnbull argues the loss in tax revenue would be made up by the increase in jobs and economic growth. Although Labor and the rest of the opposition support tax cuts for smaller businesses, they will attempt to block reductions for larger firms. Under these circumstances it will be difficult for the Liberal-Nationals to pass legislation in the Senate, for a tax cut across the board. The conservatives have also committed themselves, to eliminate the national budget deficit by the fiscal 2020/21 year. The present annual shortfall stands at 37 billion ($28.04 billion USD). This is equal to 2.2% of the current GDP. The gradual elimination of this deficit is now in jeopardy. It will need to be accomplished through further spending cuts or tax reforms or possibly both. This will be difficult in the increasingly fractious Senate. The ongoing stalemate which is likely to escalate after the recent election, is endangering the country’s AAA credit rating. The American based company Standard & Poor has already issued a negative outlook on Australia’s sovereign debt, after the election failed to provide a decisive outcome. Moody’s is another credit agency, that is taking a wait and see position before making a similar move. The feeling among most creditors is that the fiscal issues, will now be postponed until at least the next election. The Prime Minister will have difficulty in further spending reductions, given the hurdles in the Senate. Labor was able to make electoral inroads and increase its presence in Parliament, by reiterating a commitment to the public health insurance program. Mr. 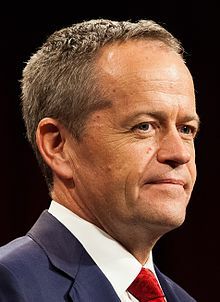 Shorten is claiming that the conservatives want to privatize the system, which could cost the government further support among the electorate. Mr. Turnbull will have to confront members of his own party, if he is forced to make deals with the opposition in order to move legislation forward. He is far more a centrist than many members of his own coalition. The probable legislative gridlock that will be the result of the recent narrow electoral victory for the government, is already having an economic impact. It will deepen over time. Investment both domestic and foreign will decline, if the government becomes unable to move forward with a tax reform package. The possibility of another election before the present term of the government ends in 3 years, will become increasingly likely as the political stalemate solidifies in Parliament.